In my opinion, Puma made a great modification on their national teams jersey. They made several modification according to country identity. 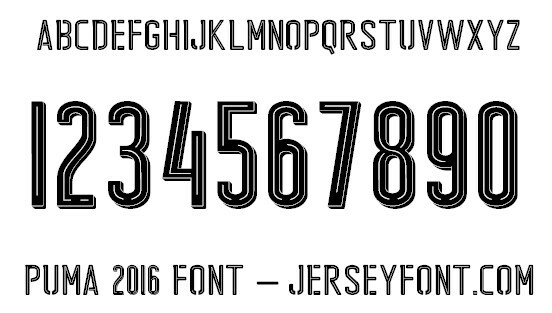 Here I give you Puma jersey font in ttf format. 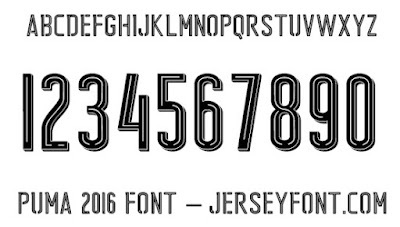 This font used by some countries in Euro 2016 aand Copa America centenario 2016. Use it for non commercial only. Credit goes to Conrad and Puma of course.